If you’re intrigued by the problematic charms of Anna Nicole, Mark-Anthony Turnage’s opera about Anna Nicole Smith for the Royal Opera House, you can see her on DVD. 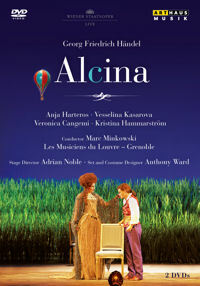 If you’re an Anja Harteros fan, and what opera buff is not, you can see her in Alcina from the Wiener Staatsoper. The excellent Les Musiciens du Louvre under Marc Minkowski are this production’s other main attraction. I’m guessing not too many of you made it to Graz to see Peter Konwitschny’s brilliant La traviata, with a heartbreaking performance by Marlis Petersen in the title role. (I did, obviously.) Luckily it will be released on DVD on November 15! A note to British readers: this production is likely headed to the English National Opera in the future. If you missed Atys in France or at the Brooklyn Academy of Music, you can see it on DVD too. The cast includes Stephanie d’Oustrac as Cybéle and Bernard Richter in the title role, both of whom should be improvements over the BAM singers. 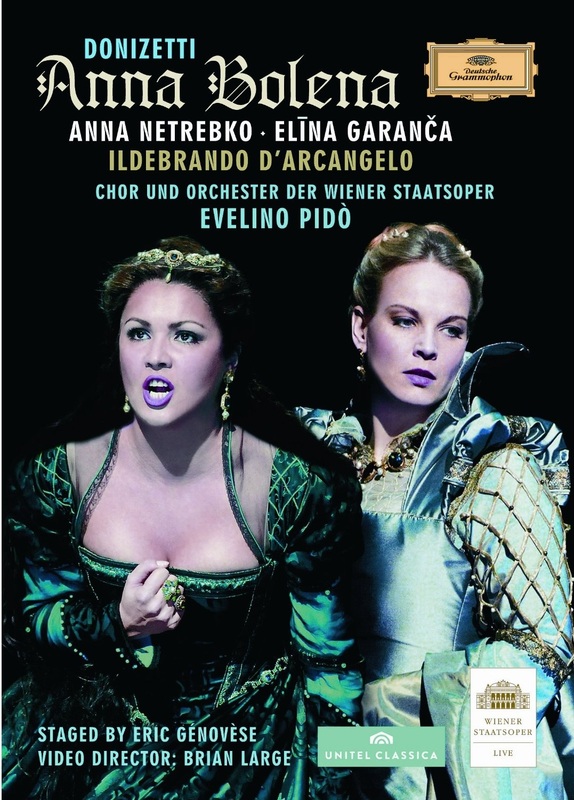 Soon you will be able to see Anna Netrebko’s first salvo at Anna Bolena, made in the company of Elina Garanca at the Wiener Staatsoper last April. Watch it and see why I thought David McVicar’s Met production was a model of fine Personenregie. The Vienna costumes were far shinier, though.